Ann Marie Chiasson, MD, MPH, CCFP is Board Certified in Family Practice and board eligible in Hospice and Palliative Medicine. She completed a Fellowship in Integrative Medicine through Dr. Andrew Weil's Arizona Center for Integrative Medicine. Dr. Chiasson holds an MPH in public health from the Johns Hopkins Bloomberg School of Public Health and a MD, with honors, from Dalhousie School of Medicine in Nova Scotia, Canada. She completed her residency in Family Medicine in Canada and worked as a primary care physician in Northern Canada for the Central Interior Native Health Service, and in Tucson, Arizona. Dr. Chiasson has also trained with Dr. Brugh Joy (Joy's Way & Avalanche) and Maria Elena Cairo, She works with Dr. Lewis Mehl-Madrona (Coyote Medicine, Coyote Healing, & Coyote Wisdom) co-facilitating Spirituality and Healing conferences. Dr. Chiasson has had extensive experience exploring energy medicine and alternative healing practices including time spent with Mayan shamanic healers and psychic surgeons in the Yucatan peninsula. Currently, Dr. Chiasson works as the Co- Director of the Fellowship at the Arizona Center for Integrative Medicine at the University of Arizona. She also has a small private integrative and energy medicine practice where she offers consultations, treatments, seminars, and retreats in Tucson, AZ. She is also a Clinical Assistant Professor of Medicine for Arizona Center for Integrative Medicine at the University of Arizona. 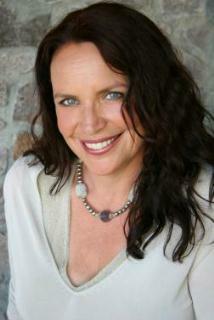 "Ann Marie Chiasson is a gifted and compassionate master teacher lighting the way to consciousness. A wife, a mother, a Medicine Woman, she is a carrier of Sacred Wisdom from many paths, integrated and applied in her teaching of Heart Centered consciousness and energy medicine. She is passionately dedicated to being of sincere service to humanity. She is powerful, soulful and deeply resourced in the mystery of a joyful and fulfilling life, offering her wisdom to each one that has the privilege of studying with her. I highly recommend her unconditionally, to anyone exploring self-realization." © 2016 Ann Marie Chiasson M.D. All rights reserved.